Obviously, I’m not going to try and summarize in a few sentences but I’m going to try and highlight the key factors that need to be considered when designing balustrades for wind loads. The strength of the wind can be influenced by a number of variable factors, one of which is location in the UK. In the National annex there is a map showing wind speed by area that need to be used in your calculations. The altitude of the location above sea level is another aspect that plays a part as well as the terrain. Exposed areas by the sea or on a cliff top, will get much stronger winds than an urban area in a city location. Of course, a high-rise block that stood above the general urban area would again be judged differently. Geometry of the balustrade will also come into play. Is it just a straight line or does it have one or more returns and how high is the railing or glass above the ground. 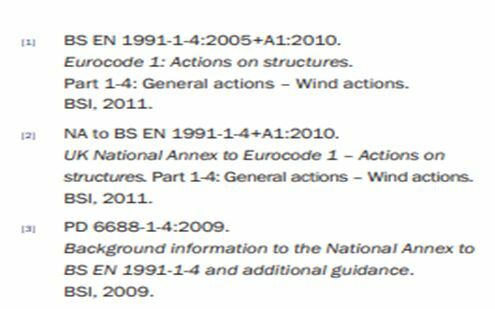 All the different elements are defined in different parts of ‘Euro Code 1 – Actions on structures’, as they all play a part in the wind load calculations. Once all these points are considered an overall characteristic wind pressure can be determined. This is measured in Kilo Newtons per Metre Squared. 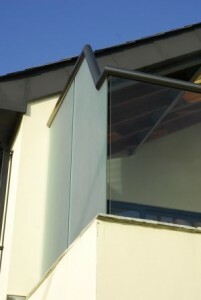 (kN per m2) We then look at the component parts, such as railings and glass and their impact, before designing the balustrade to meet the calculated wind pressure. When designing for a project, we are looking at worse case scenarios. So, for a block of flats we’d design based on the top floor and any other characteristics such as railings, number of sides, location etc. The wind pressure calculation would then be translated into a load which can then be used to determine the component parts. A recent project designed for the 11th floor in Southend-on-Sea resulted in wind pressure loading of just over 2.1kN m2 (kilo newtons per square metre), whereas a similar project in Croydon had a wind pressure loading of about 1.5 kilo newtons, which is nearly 30% more. This can clearly impact the design or materials used, so it forms an important part of the design work for any project. Wind loads, in particular on tall buildings, are many times the dominant design factor, meaning they exceed the line loads of balustrades under normal use. This means they become the loads one must design to and adhere to. The same applies for privacy screens, due to the size and height of the glass on these wind loads are almost always the dominant design factor and on taller floors can be quite substantial. Wind loads are not always a simple calculation, and a straightforward formula is hard to give, due to the combination of factors involved. If you are designing balustrades or screens on high floors ensure that this is taken into account and shown on your design calculations.